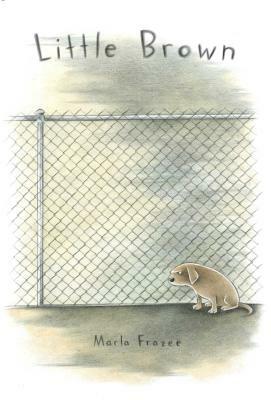 Little Brown (Marla Frazee) – A shelter dog wonders whether being friendless makes him cranky, or is the result of his crankiness. BROKEN RULES: Disagreeable protagonist, existential concept, unresolved ending. 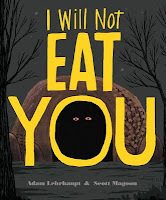 I Will Not Eat You (Adam Lehrhaupt, Scott Magoon) - A dragon considers who is meal-worthy, and why. 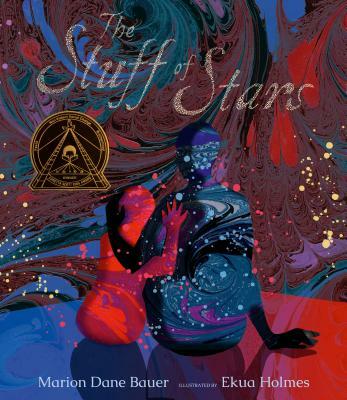 The Stuff of Stars (Mariod Dane Bauer, Ekua Holmes) – A poetic exploration of the Big Bang. – Biography of Henri Matisse. Tie: I Need a New Bum (Dawn McMillan, Ross Kinaird) and Monsters New Undies (Samantha Berger, Tad Carpenter) Fun with backsides and underwear. 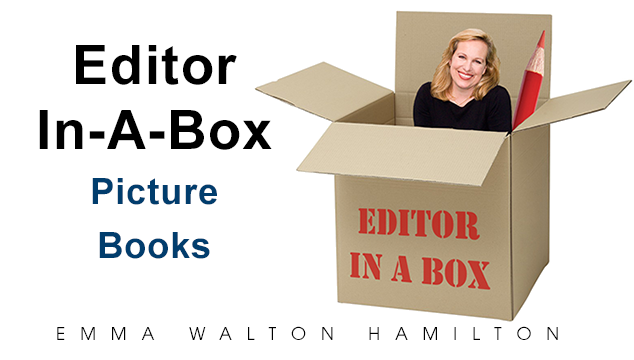 Emma is giving away one Editor in a Box for Picture Books revision kit to one lucky winner. To be eligible for prizes throughout the challenge, you must be registered by March 4, comment on each post, consistently read mentor texts, and enter the Rafflecopter drawing at the conclusion of ReFoReMo. 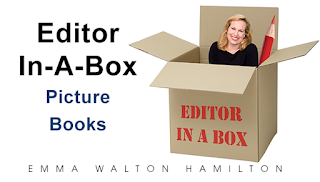 Emma Walton Hamilton is a best-selling children’s book author, editor and writing coach. 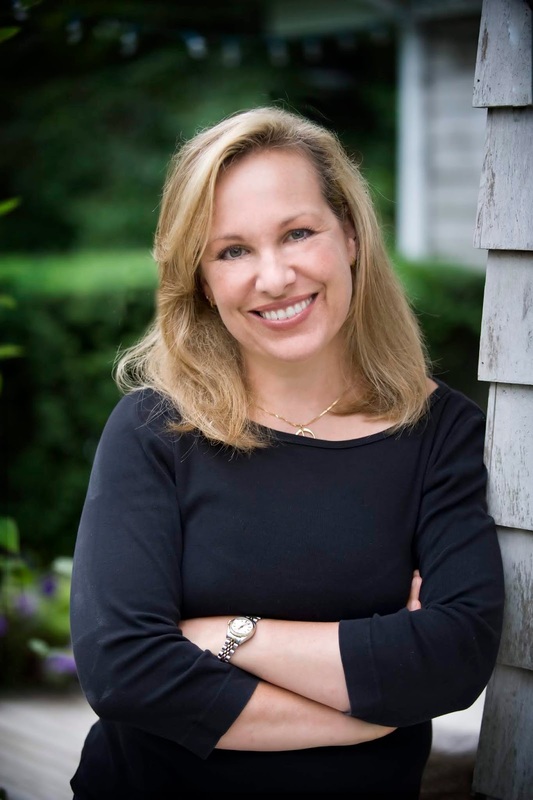 She serves as director of Stony Brook University’s Children’s Lit Fellows certificate program, now in its 7th year, as well as the annual Children’s Lit Conference. 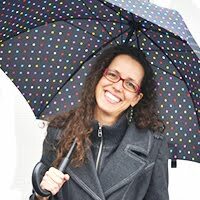 A co-founder of Picture Book Summit and The Complete Picture Book Submissions System, Emma also hosts her own writing courses and resources for writers online at emmawaltonhamilton.com. I love any post on how to break the rules!!!!!!!!!!!!!!!!!!!! Emma, I love this post and your examples. It's so fun to find books that break or bend the rules. Have you seen "Just Right: Searching for the Goldilocks Planet" by Curtis Manley (NF) or "When You Are Brave" by Pat Zietlow Miller - where the plot of the story is not in the actual text, but in the illustrations? I haven't, but I'll take a look! There are certainly lots of other wonderful books out there that break the rules! Know the rules and then you can break them! Can't wait to read these books! Thanks, Emma! Thanks, Emma, for affirmation that it's okay to ben and break the rules! Love this post. Haven't read any of the books, but I will now! I love that some books are 'breaking the rules' - particularly as a teacher. I am definitely going to look for these books, and other 'rule breakers'. As an author (yet to be traditionally published), however, I would love to write a rule breaking book, but am concerned this is the realm of the established author. Yes? No? It's true that most of these selections are by pre-pubbed authors, but debut authors can sometimes achieve that debut by having a new, fresh approach that surprises and delights -- I think it's really a combination of the strength of the idea and the writing, and the right timing. Thank you for this post! I will be definitely checking out some of these books, my library has several of them. Thanks for sharing what rules each one breaks, too! I love rule breaking! Thanks for the great list. I've only read Monster's New Undies, but I'm excited to read the rest. Love the idea of breaking picture book rules and trying something new. Fun and inspiring choices! Love it! Thanks for the analysis of these books that break the rules! Great examples of when rule breaking works. Iridescence of Birds is favorite. Thank you Emma! These books certainly caught my attention! Thanks for this list of rule-breaking picture books. I've seen several of these, and agree, that they bendor break rules, but to great effect. I always want to break the rules! Thank you for keeping us up to date on these recent rule-breakers. Thank you! Sometimes I struggle with structure. Good to have examples showing that it’s OK to sometimes think outside the box. Emma, have been noticing this trend, too, with books that break the rules. You've added more to my TBR pile. Thank you. Each example is so unique in the way it breaks the rules. Thank you for sharing. I love that we are seeing boundaries pushed in PBs with heart and humor and complicated ideas! Great post, thank you, Emma. It is refreshing to know it is becoming more acceptable to push the boundaries and write "outside the box." I think breaking rules is part of the evolution of our genre. The kids of tomorrow deserve "new" ways of looking at things. Thanks for this post, Emma. Ha! I did find myself trying to turn the page at the end of Little Brown-or look on the end page-to see if there was a resolution. I'm sure the kids will love the Monster's New Undies book-I didn't find the illustrations risqué at all-but I'm sure just talking about it in some places will put the spotlight on this book. I do think it's important to know the "rules" but it's nice to see examples of how breaking them have worked. Thanks for the recommendations! Hi, Emma! When I read Little Brown, the story struck me as one that a new author couldn't submit. Breaking the rules is more likely when an author has an established relationship with an editor. True, to a point. Little, Brown is also by an author/illustrator, so it probably benefitted from having the concept realized in both forms simultaneously. That said, I believe (and have heard from editors) that when an idea is fresh and the writing is strong, they love to be the first to "discover" a debut author. What a fab post and a fab gift! Thanks so much! After learning the rules, thinking outside the box can be a challenge but very rewarding! I marvel at the imaginative new ways that authors are breaking the rules. Thanks for sharing your favorites with us, Emma! 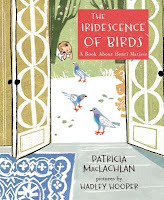 I loved the Iridescence of Birds and can't wait to read Little Brown. Kids really respond to all types of books, not just the usual formulas. I love learning about books that break the rules. Thanks for a great post, Emma! I am writing a rule breaker so I love these texts. Thank you. Sort of makes me want to go back to earlier drafts on some WIPs. I think writers who know when to break the rules make it look much easier than it truly is. The integration of illustrations with subject for THE IRIDESCENCE OF BIRDS and THE STUFF OF STARS is mind-blowing. Thanks, Emma! I love this celebration of rule breakers! Creative folks LOVE to break the rules and feel free to explore their craft with reckless (but professional) abandon! Thanks! I like the idea of breaking the rules. These mentor texts are perfect to study how the authors accomplish this task. Thank you, Emma! Well I guess rules are made to be broken, what great examples. Thanks! Bums and Undies, who’d a thunk? It’s good to know rules can be broken, and that there are editors willing to take chances. Thanks, Emma. Emma, Once again you light the path for others to follow. Thanks so much for sharing titles that push the boundaries of kidlit toward unexpected directions. Continued success! I appreciate what you've shared....something I've never really thought about. I can't wait to read these books. Well, I blew it. I've been posting every day on the Facebook group instead of here on the Blog. You could say I really blew it by breaking the rules (now not eligible for any possible critiques or book goodies, etc), or you could say I broke the rules by following the creative beat of my own drum. Back to today's topic. Breaking the rules in PB is always interesting to see what the topic is, and how it's executed. I really look forward to reading these rule breaking books! Looking forward to reading these books -- and getting more of a sense as to when it's okay to break the rules. I love the idea that the rules are becoming more flexible - makes things a little more fun. :-) I love the books on this list - thank you! Really helpful insight as to how they break the picture book mold. I am still waiting to read a few of these, but you have piqued my interest. Rule breaking mentor-texts, ReFoReMo really has it all. Love this selection of books. Thank you! It's so fun to break the rules! Thanks for the great examples. Story and heart trumps rules in my eyes. Thanks for these examples. I own a few of these books and love them! Kids do love those banned subjects ;) Thanks for the list of out of the box PB. Emma! Your post is just as enlightening your discussion in the "Mastering Show and Tell" Webinar I participated in with WRITING BLUEPRINTS MASTERCLASS last December. I welcome your candor and wisdom! We work hard to remember the "rules," but sometimes great stories are born breaking them. With gratitude for reminding us! Best of continued success and fulfillment in your writing journey. Great mentor texts. Thanks for a very informative post Emma. I love this idea of breaking the rules and looking at ways to be unique and creative. I have also been noticing this "trend" in illustrations and books with an adult as the main character. Wow! What a great lineup of daring rule breakers! I love this chance to look at some of the rule-breakers in our genre. I WILL NOT EAT YOU is one of my favorites--thanks for sharing! I'm a little "behind" on my reading, but look forward to reading these. I suppose if you have a character or idea readers will identify with, you could experiment with how it's delivered. Thanks, Emma. I do love books that bend or break a rule or two to shine in the crowd. And my second reaction is to hope there isn't a deluge of books that similarly break those rules, dimming the light on those originals. Thanks Emma for citing broken rules. Not sure I would do that, but they are fun to read. This was an excellent post about an interesting topic. Thanks! Great examples of "breaking rules" texts. Thanks, Emma! I've broken rules in writing some of my PBs. It's nice to know one can get away with it. Thanks, Emma, for sharing these great books. I'm a break the rule kind of person so I'll be reading these books.How can I sign up for the Show and Tell webinar? I need this! Emma, I love that your post is about breaking the rules!?! :) Thanks for these examples! They're an interesting selection and they make you think! Hi Karen! ;-) You gotta know the rules to break 'em! Interesting subject choice. Breaking the rules, thinking outside the box. Loved Bauer's Stuff of Stars. Her The Longest Night is one of my favorite books. Thanks for your selections and your post. Lots to think about. I always love the rulebreakers! It’s wonderful to see some PB writers doing that successfully! It's great to know that PBs can break the rules. Thanks for some great examples. 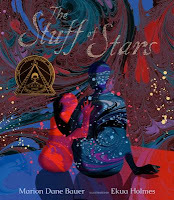 The Stuff of Stars is one of my favorite newer books. This is a good topic. Some picture books tend to break the rules. Thank you! I don't think it's unusual to see popular authors break the rules and get published. I do think it's more unusual for a debut author to make that cut. I've read all but the underwear books, so far. Yes, they'll be popular with kids. Great post! I wonder how many of these (if any) are debut authors? love these exceptions to the rules! Emma, thank you for introducing me to these creative picture books. It is interesting to see how authors and publishers are becoming more open to fresh ideas in the writing and publishing of picture books. I'm looking forward to reading these and checking out how to break the rules successfully! Another great list of books. Thank you! Fantastic examples of rule-breakers, Emma! Important to note that while they each bend or break today's rules, it works for each story. To wantonly break the rules for the sake of being "bad" won't work. Gasp! I'm such a rule follower! I don't know if I'll ever have such a risky text, but it's worth a try! Thanks for giving me "permission". Interesting. I looked up a few of these on YouTube. Yes, I think they are rule breakers. These books are great, Emma! I was familiar with a few and now am on the hunt to get the rest. Thanks for this fabulous list! When books break the rules in a way that serves the story, it can be so magical. Interesting selection of books thanks for introducing them. Loved the New Pair of Underwear. Thank you, Emma, for these examples of "breaking rules!" I'm a rule breaker. Love this post and have a few new books to read! Yay! I love those examples! Thanks, Emma! Thanks Emma! It's fun to think about breaking the rules. A couple of these were new to me. Thanks for mentor texts. I have noticed that there has been a fair bit of rule-breaking in the Kidlit community. It’s interesting to reexamine boundaries. This was so much fun and I love these Books! It's encouraging to know the RULES aren't hard and fast, and can be broken. We'd miss out on a lot of great picture books if this weren't the case. Do LOVE The Stuff of Stars. Now need to read the others. Thanks, Emma! Thanks, all, for the nice comments! Glad the post was helpful! What a great post. I love to read books that step outside the box. I absolutely cannot wait to read some of these books!!! I love the idea of breaking the rules! Thanks for this list! Brilliant post about breaking the rules for the right reasons! I love that you shared books that break the rules! It is reassuring that we can think outside the box. Thank you. Thank you for these examples of books that break the rules. I will be looking for more of these as I try to up my creativity level in my stories! I appreciate the mentor texts which show that it is OK to break the rules - even though it is probably easier to do so if one is a well established author. I loved the extraordinary illustrations in The Stuff of Stars and how they complemented the text. The way in which Patricia MacLachlan distilled the life of Matisse in so few words and with such insight was impressive. I know from experience that just saying the word "underwear" causes children to dissolve into giggles, so I can only imagine their reaction to the books about bums and undies. Should be classic! Thanks for sharing these titles. Great rule breakers. Another is THE LEGEND OF ROCK, PAPER, SCISSORS by Daywalt and Rex. Breaks rules of vocabulary with wonderful big words and the oxymoron of a new legend. Thank you for this creative list of rule breakers! I especially love The Stuff of Stars with its abstract artwork. And I always enjoy books that push vocabulary in unique ways. Thank you! Break the rules, make mistakes, think differently- are all worth while efforts in my book! Breaking the rules can make for that unexpected great new story! I think about the rules a lot and pay particular attention to books that break them. Thank you for this terrific list! Thanks so much for these great examples. It's easy to get caught up in the rules, and so helpful to be reminded that wonderful books that break those rules still get published! Emma: Thank you for sharing titles that break the rules. What a great post. It's always such a question of whether or not we can break, the rules, right? Having studied Picture Book writing for years, I have been well acquainted with the rules. And I write by them. But I also break them...and oh what fun it is. I think if it feels right, if you know what you are doing, if you are showing the story the way it is meant to be shown, and if you are proud of what you have put on paper, then you have played by your own rules...and that's what this is all about! Discovering, learning, and breaking ;) Thanks Emma for your expertise!! I'm still learning the rules so I am not sure I am ready to start breaking them. But I am glad to know it can be ok. Thank you for these mentor text suggestions. Oh, I was dying in laughter for a few of these books! Irreverent wins for me! Thanks for the new broken rules. It's so nice to see that rules can be broken. All we have to do is be unbelievably brilliant! Thanks for the inspiration today. I like the surprise of who is in the cave of I Will Not Eat You, but I absolutely LOVED I Need a New Bum - what creative choices! haha... My kids will love this one! Thank you for this list! I have to confess that I love seeing some rules broken! Thank you for the suggestions. My first time reading them. I enjoyed them all. I love books that break the rules, particularly ones with advanced vocabulary! 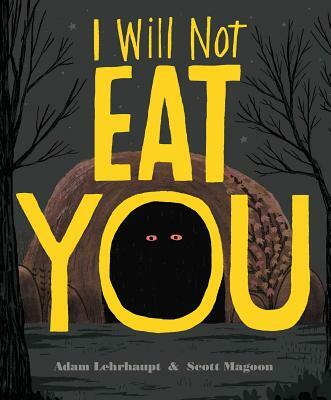 The ambiguity at the end of Little Brown was delightful, and I loved the dark last words of I Will Not Eat You. Breaking the rules can be such fun, but you really do have to do it right, no? Having an editor/agent guide you through it could make all the difference. Thank you, Emma, for these awesome mentor texts! Looking forward to reading those that I haven't had the chance to read yet. And what a wonderful topic- stories that break out of the structure and are still publishable. Thanks! Great post! I read the title of the post and the books before I read the actual post. I had fun trying to guess which rules were being broken as I read the books! In some of them, I just couldn't figure it out. Then I had some a-ha moments when I read the post. Excellent examples of rule-breaking done well! Interesting books for sure! Thanks, Emma. Thanks for introducing me to more wonderful mentor texts. Looking forward to reading these, especially Little Brown. These are fantastic examples of how breaking the rules can make a story stand out and feel fresh. Sometimes a story just works! It's inspiring to see authors pushing the bounds of creativity in the picture book world. It’s always hard to know what rules to break and when. Thank you Emma! I was first introduced to I Need a New Bum watching The Scottish Granny read it on You Tube. You cannot argue with the content of a book that brings that much joy! Not only does Granny love it, but the baby is agog at the book and at Granny's reaction. That what building a love of books looks like. Hurrah for the rule breakers! I wondered about some of these myself, reading them before reading your post. Now I get it! Yes, they are all unusual in one way or another. Little Brown stood out because it was unresolved, but it reminds me of many actual events like that in children's lives, and it's good to see "real life" situations portrayed. Thanks for putting this list together! Sometimes it's hard to whick rules to break. Thanks for this post. Thanks for this great list of rule breaking books. The surprise element of these choices make them extra special. Yeah! It's always nice to find out it's okay to break the rules - at least sometimes. I love books that break the rules and these are fantastic examples. I believe rule breakers make it through to publication despite not conforming to the tried and true because they are written so well--they are undeniable and provide a spark of some sort to the reader. I think the rules are important when starting out to provide necessary guidance, but I for one cannot wait to break the rules! Good to know the rules, but also that sometimes the rules can be broken. Thanks for these examples and showing how they break the rules. Thanks, Emma, for this wonderful selection of books. I absolutely love this study of breaking the rules...and how to do so effectively! Most valuable! Thanks so much, Emma! Thinking and writing outside of the box is so refreshing! Thank you! Ah, see... if I had to pick a rule to break, I'd go with the advanced language. I love words so much, haha! So surprised by the ending of Little Brown. Love the Iridescence of Birds. And ooooh the illustrations in The Stuff of Stars. Thanks for this whole list! I love this post! Thanks, Emma. I really enjoyed The Iridescence of Birds - the 2nd person worked and I appreciated the advanced vocabulary - kids can get these bigger words! The Stuff of Stars was beautiful. Everybody loves a good rule-breaker, huh? Count me in! I love how confrontational I WILL NOT EAT YOU feels. Between the title and that just-the-right-amount-of-unsettling cover artwork, opening this book almost feels like following through on a dare. Lehrhaupt and Magoon keep the mystery simmering real nice as we attempt to figure out just what “Theodore” is and what could be immense enough to eat all of these invasive creatures. The story maintains that balancing act of grimness and light all the way through to the climax that appears to end on a bright, jovial note before reminding us in the gentlest of whispers that our brave knight’s safety isn’t as ensured as we thought. The passive protagonist is definitely noteworthy as Emma points out. I think that simmering, mysterious tone is what ends up gripping us in lieu of an action-packed character. That tone suits Theodore perfectly; watchful and waiting for just the right moment to spring. I’ve heard great praise for MacLachlan’s SARAH, PLAIN AND TALL, and while that book was always one that couldn’t interest me any less when I was the age of its primary intended audience, coursing through THE IRIDESCENCE OF BIRDS has me in awe of how this author weaves magic from words and eager to seek that classic out. This is great use of second person; it genuinely places us in Henri’s shoes and makes us feel as if Henri’s life is our life, his passion for colors our passion. A unique way to enliven what is essentially a “history lesson” for children (and adults) who view the past as one long, boring play and not the exciting lived experiences of human beings. This is a book I can see myself poring over in the years to come. Hi Emma! I learned all of the rules from you and now I am good with breaking them too! Thanks for the list. 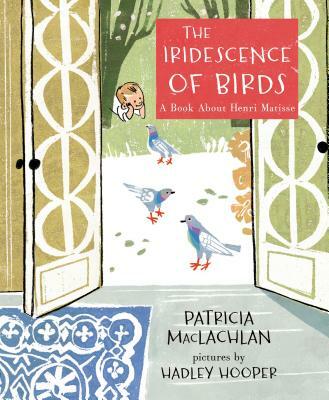 I have actually read most of these but The Iridescence of Birds is a favorite. I so enjoyed that The Iridescence of Birds was one unexpectedly long sentence too. Fantastic books - inspirational rule breaking, they all do it well. These look wonderful! Thank you Emma! These are all so good. 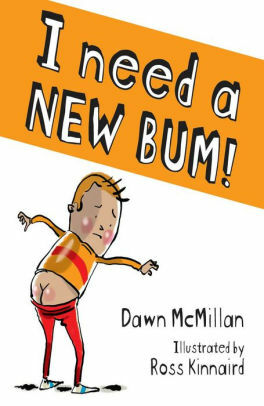 I NEED A NEW BUM is a perfect mentor text for a book I am currently working on. Thank you! Rule breakers, indeed. Thank you for this list! The Stuff of Stars and Iridescence of Birds are two of my favorites. I knew they were unique but now I understand all the more thanks to your rule breaker insights. These are fantastic! Thank you for the great mentor texts. Thank you for your post about breaking rules. Little Brown was so sad, yet I feel like it could be a good discussion starter in my classroom. I love rules... But I love breaking them too! Thanks for these mentor texts!